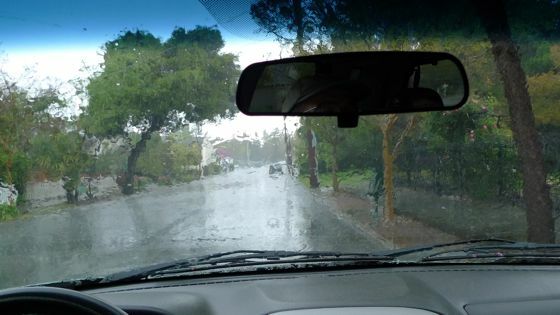 Rain came so hard at times this morning, that your usually-intrepid InMenlo photographer opted to stay in the car, while on assignment on Harvard Ave. this morning. This impressionist view through the windshield was replaced by blue skies and sun about 20 minutes later. Bill Russ has already declared that the current storm pushed Menlo over the 20-inch level, even before last night and today’s deluges.